As late as the early nineteen thirties, some houses were still receiving their drinking water, carried up their garden path on a yoke, by Postman Smith. He use to lodge overnight at Stansted for 1/ - a week, and then walk to Henham and do all the rounds on foot to Chickney Spring, and out to Amberden Hall, (Stansted is approximately 6 miles from Henham). A bell used to be rung at the corners of footpaths up to houses and then people rushed out with their letters. He would also take in bottles for medicine to the Doctor’s surgery, wait while they were made up, and bring them back at 1d. a time. At Christmas he was allowed a horse and cart; the horse lived in a stable next to the Venture. Postman Smith and his son George, used to set off about 5 o’clock, to be at Stansted at 6 George driving the horse, and old Postman, wrapped up in his coat, asleep in the bottom of the cart. 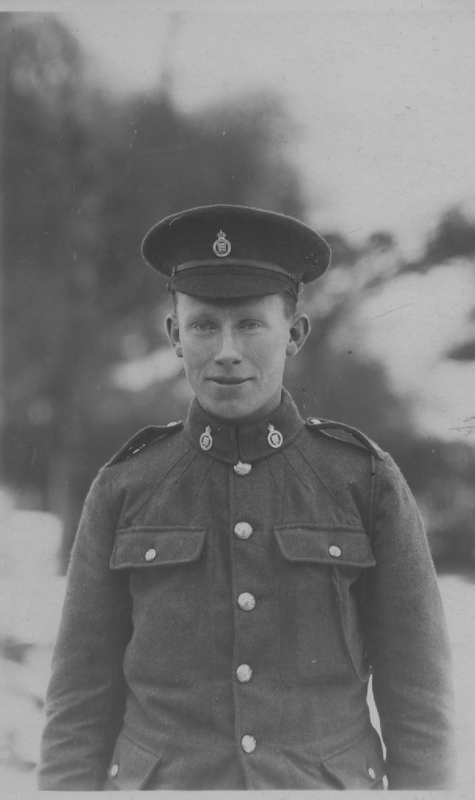 Like a lot of villagers Postman Smith probably travelled with his son Clifford on one of his trips to Stansted, wherelike 100s of other young men, Clifford signed on at Stansted to join the army. Sadly Clifford did not survive the First World War. 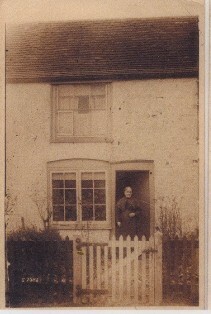 her home in Church Street, Henham. 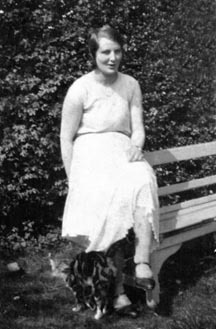 William and Celia’s daughter Celia was married to Frank Barker. 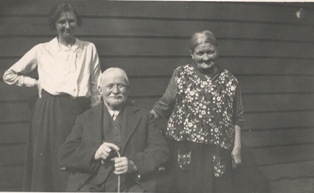 Frank Barker lost two of his brother’s in World War I.
William and Celia moved around within the village, the 1901 Census shows they are living in Crow Street, two photographs are taken at their home at “Longyards” in 1938. 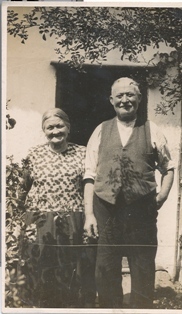 William and Celia moved to “Longyards” a thatched cottage near the church. 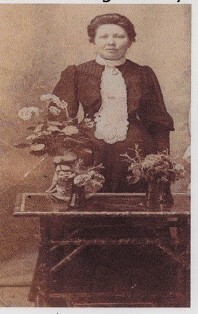 Photographs below were taken at their home. 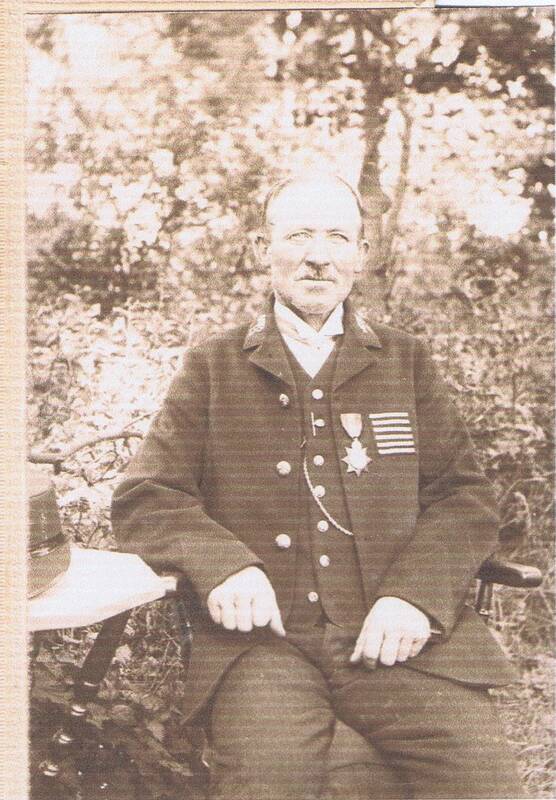 A big thank you to William's great grandson Robin Kent who has kindly sent us the photograph of William in 1914. Robin's grandma is Ruth, William's youngest daughter. 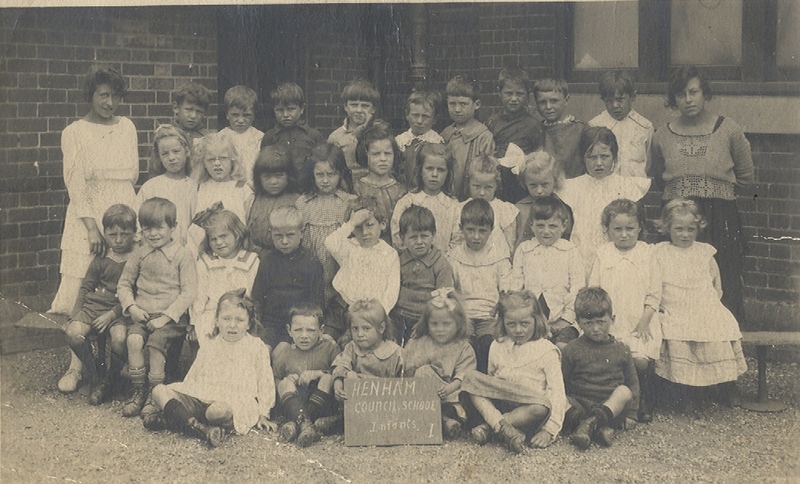 Their grandchildren attended the local school, if anyone can identify any of the other pupils please contact me. Jesse Barker, at the time she was living in the what were then the railway cottages at North Hall, so a fair walk to school every day. She would also have to take home a can of milk, she had a sister who’s name was Eva. 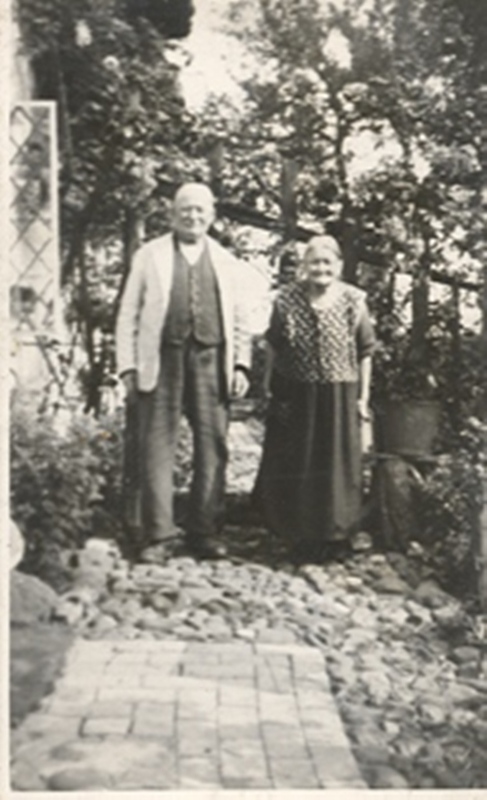 Jesse was born Oct. 6th 1910, how would parents feel about there children walking those lonely roads at the age of ten these days, I think there were times when the weather was very bad when she stayed over night at Postman Smith’s her grandfather. 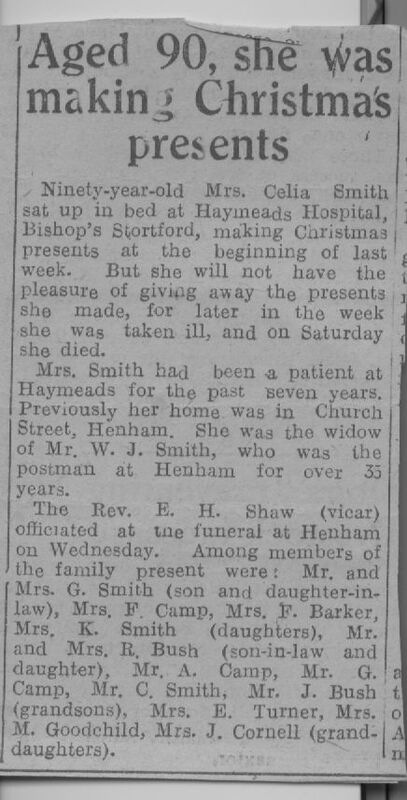 Celia died on 29 November 1952, a newspaper report explains that although she was 90, she was still making Christmas presents at Haymeads Hospital in Bishops Stortford. 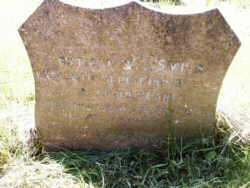 The Rev Shaw conducted her funeral and some of her family that were mentioned in the newspaper report were George her son and his wife, her daughters Mrs F Camp, Mrs F Barker, Mrs K Smith and Mrs R Bush and her husband. 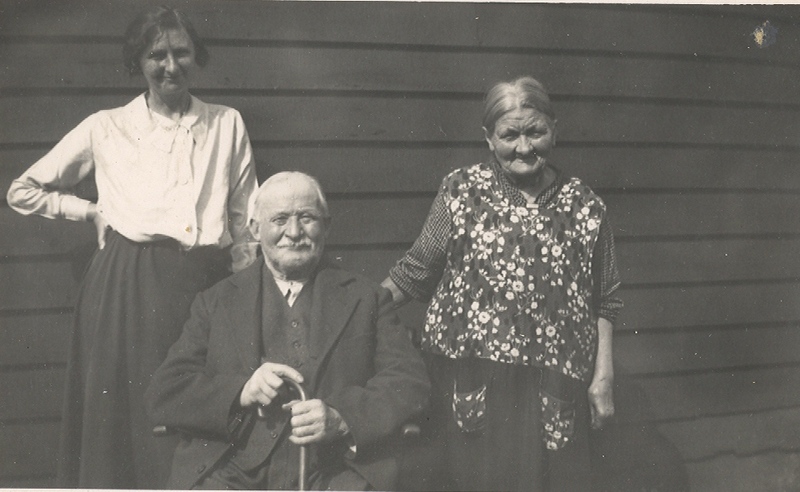 (Women were referred to by their husband’s names at this time), her grandsons Mr A Camp, Mr G Camp, Mr C Smith and Mr J Bush and her granddaughters Mrs E Turner, Mrs M Goodchild and Mrs J Cornell.